Call of Duty has become a gaming phenomenon, and one of the most popular gaming franchises ever! The infographic below takes a close look at what made their latest title, Call of Duty: Modern Warfare 3 – so incredibly successful. 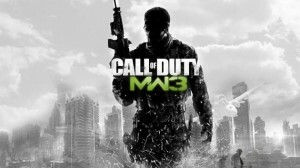 Since its much anticipated release, Modern Warfare 3 has gripped and entertained millions of COD fans, making it the quickest and best-selling Call of Duty franchise title to date. The incredible graphics, animation and plot lines have ensured that fans of the game sing its praises – resulting in record breaking sales in record breaking time. This infographic is a must-read for any Call of Duty gamer. It examines the game’s rising success and the industry records it has set since its release (records you have probably helped them achieve). You’ll begin to wonder how you ever survived gaming without the COD franchise, and how you ever survived Call of Duty without Modern Warfare 3. If you would like to embed the Modern Warfare 3 Infographic on your website or blog, just copy the entire embed code below. This infographic was created in partnership with inMotion Gaming. Very cool. I had no idea that the gaming industry was worth nearly double the music industry. My favorite part of this article by far is the part about the guys pulling off a robbery for some copies of the game. They used tear gas even! That’s what you call fanatics! This makes me wonder how much Black Ops 2 will make. Is it possible it will do even better than MW3? Yeah, we were pretty surprised at many of these stats ourselves… The gaming industry is certainly impressive as a whole, and Modern Warfare 3 has definitely made its mark! Thanks for your commentary throughout the site Jonathan, and for sharing your thoughts here. We always appreciate your support.